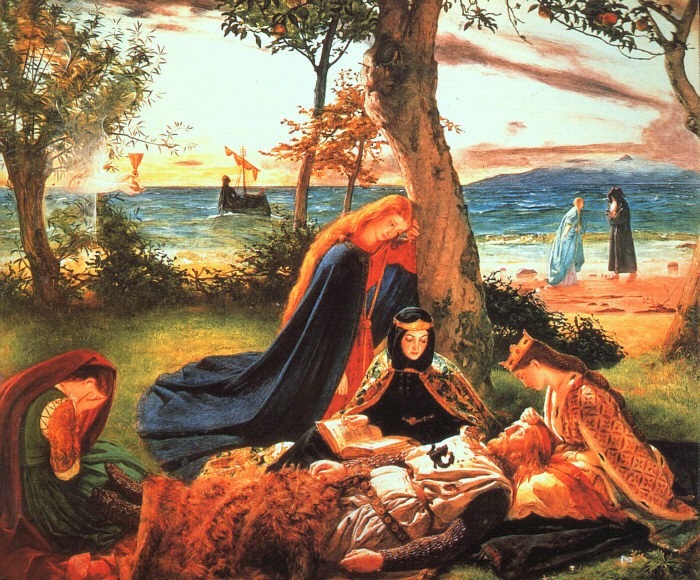 Heroes, Heroines, and History: Did King Arthur Really Exist? Escape into creative worlds of fiction. 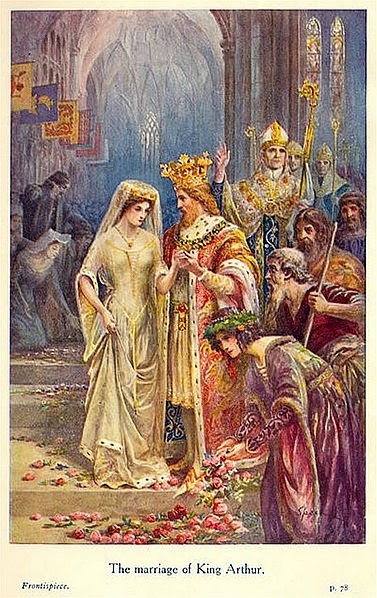 Title page illustration from The Legends of King Arthur and His Knights (Facing p. 78), 1912., 9th edition. Ed. Sir James Knowles, K. C. V. O. London; New York: Frederick Warne and Co., 1912; Public domain image. The Battle of Mount Badon is important in establishing a date for a historical Arthur. Somewhere between 828 through 831 AD, a Welsh monk named Nennius wrote (or as some argue, compiled) the Historia Brittonum, that describes Arthur as a military leader (dux bellorum) rather than a king and names 12 battles he fought. Gildas, who was writing a contemporary account, dated the siege of Mount Badon 44 years prior to his record. This places Arthur, if he existed, near the turn of the 6th Century in northern Britain. Medraut is a Welsh form of Mordred. The Annales Cambriae was supposed to have been updated yearly between 447 and 957, but earlier entries may have been made in later years. This makes it a more questionable resource than De Excidio Britanniae, and some have argued that Arthur may have been added to the record after the fact. Whether Arthur was an actual person may never be proven without a doubt. In my opinion, since all other persons named in the Annales Cambriae were actual people who lived in history, there seems no reason to assume that Arthur was not. I've covered the earliest references to King Arthur in this post, but a wealth of other material is available on this fascinating topic. You'll find some links to start your own research at the end of this post. Janalyn Voigt's unique blend of adventure, romance, suspense, and fantasy creates worlds of beauty and danger for readers. Tales of Faeraven, her medieval epic fantasy series, beginning with DawnSinger, carries the reader into a land only imagined in dreams. Janalyn is represented by Sarah Joy Freese of Wordserve Literary. I love this post, and so did my 10 year old. Your conclusion is quite well stated, and defended. I also hope my hero William Tell was real. I've been fascinated with this legend since I was a teenager--even wrote a research paper comparing three of the better known versions (The Once and Future King among them). Thank you for this happy reminder! You're welcome, Stephanie. We share a fascination with this legend. Interesting post, Janalyn. Loved the detailed pictures.